Phalebas, Parbat – Chairman of the National Assembly, the upper house of the federal parliament, Ganesh Prasad Timilsina has urged the people's reprsentatives to root out corruption and irregularities. The NA chairman said this while addressing the second assembly of the District Coordination Committee here on Thursday evening. Stating that citizens were complaining of corruption, delays and negligence in public works, he called on the people's representatives to work towards banishing such malpractices and ensuring smooth service delivery to the public. House of Representatives member Padam Giri on the occasion expressed the commitment to fulfill the promises made to the people at the time of the election within five years. 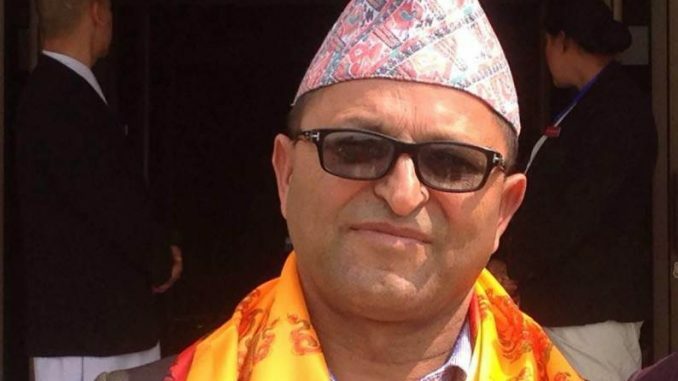 Gandaki province government minister for industry, tourism, forest and environment, Bikas Lamsal, underlined the need of coordination among all sides while carrying out development projects.